By now you should know that I’m a big fan of the smoothie. I have one just about every day to replace a meal. Smoothies have helped me to eat more fruit and yes, vegetables too. They’ve helped me to add more quality to what I put in my body. Over the years of creating smoothies of my own I’ve found a few smoothie secret weapons, ingredients that give my smoothie a boost. Matcha powder is something fairly new to my smoothie arsenal. Not only does it give my smoothies a boost but it gives me a boost too. With more than 100 times the nutrients of brewed green tea, Matcha Powder packs a punch with vitamins A and C, Folic Acid and Manganese. Let’s not forget the caffeine, there’s plenty of it in Matcha Powder. It’s great at detoxifying the body and full of antioxidants, again 10 times more than brewed green tea. Matcha Powder also helps to boost the metabolism, which will help burn some calories, which can help drop some weight. 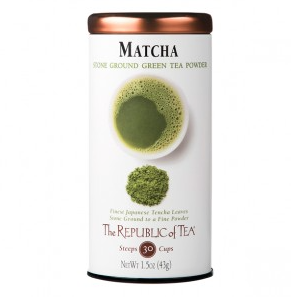 I know a lot of people who don’t like the taste of green tea and Matcha Powder is a great way to get some of the great benefits of green tea without the taste. Spinach has been a smoothie staple of mine for years. It packs a big nutritional punch with a low caloric price. With about 20% of a day’s fiber in one cup it help keep you feeling fuller longer. It also aids in digestion. Spinach is a nutritional powerhouse with Vitamins A and C, Iron, Folate and even a little bit of calcium. As a woman who is growing older, calcium is becoming more and more important for my bone health so it’s nice to know I’m getting a little more in each smoothie. Finally, as I try to get five servings of fruits and vegetables, adding spinach to my smoothies helps me check one off and it doesn’t leave my smoothie tasting “green”. Flax oil is one of the ways I add healthy fats to my smoothies. Omegas 3, 6 and 9 are all in flax oil. 3 and 6 are essential fats, with 3 being found primarily in seafood, something I don’t eat. Flax oil is a great way for me to get these healthy fats in my diet without having to swallow a fishy pill. 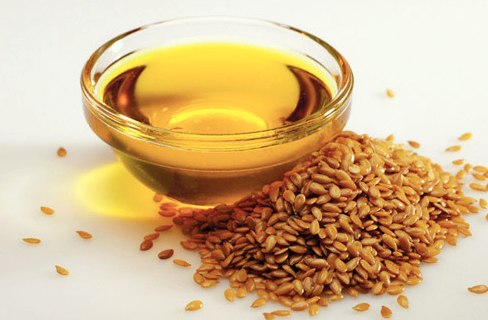 Flax oil has about 55% of the daily requirement of omega 3 fats. Some studies show that flax oil is good for the heart and can reduce the risk for fatal heart attacks. Who wouldn’t want to avoid one of those? Good for the hair, skin and nails, flax with have you looking better inside and out. And it also can aid in weight loss efforts, that’s why I like it. Again, it’s not something that you can even taste when it’s in your smoothies but you can enjoy it’s benefits. Those are my top three smoothie secret weapons, the things I add to my smoothies to make them work a little harder for me. 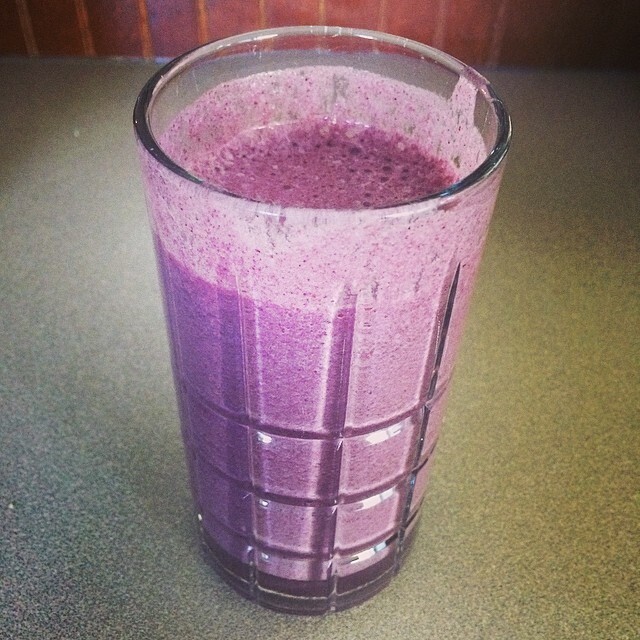 Do you have any smoothie secret weapons you’d like to share? Leave a comment and let me know about them. Disclaimer: I was given a three day trial of Herbalife free of charge for the purpose of this review. Of course, as always, all the opinions are my own. 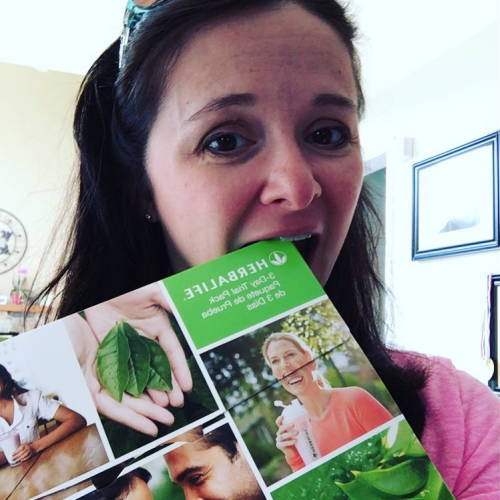 Before Starting my three day challenge, Kelsey sent me lots of great materials that talked about what I could expect during the challenge, the benefits of Herbalife and a plan to follow for my three days. I made sure I went through everything carefully so I was ready to follow the challenge to the letter. I wanted not only to have the best results possible but have the best information to share with you. I can do anything for three days so on a Monday I decided it was time to jump in. My first shake I mixed in a shaker bottle for breakfast. I did not enjoy it that way, it wasn’t smooth enough for my liking. Of course maybe my shaker bottle isn’t as efficient as others so you might have better luck. After my breakfast shake I felt full, like stuffed full. That was a pleasant surprise because some of shakes I’ve tried have left me wanting more. My breakfast shake held me all the way until lunch. It was funny though, I was feeling full, then like I flipped a switch, I was hungry. For my lunch shake I made it in the blender with a handful of ice and it was amazing. If you have the ability to make these shakes in the blender, I say go that way. Late afternoon I had myself a protein rich snack followed a few hours later with a smart dinner full of veggies. I was a little nervous because when bedtime hits is when I find myself wanting a snack. The thought of eating dinner at around five and then not eating again until breakfast was frightening. I was fine though. I had a small snack from the list of foods Kelsey sent me and I went to bed happy. Days two and three followed the same format and all went fairly smooth. I wish they included more of a variety in the trial so I could get an idea what flavors I’d like to buy should I continue on the program. For me, this three day challenge felt a lot like a cleanse. I was peeing more than usual and I generally drink at least a gallon of water a day anyway, so I’m no stranger to the bathroom. The liquid wasn’t the only thing going through me, if you catch my drift. What you’ll see in your 3 day challenge kit. Kelsey was great! She texted daily to check in and see how I was doing. If I let her know that I was struggling, she was ready with a tip or words of encouragement. I wasn’t taking this challenge alone, Kelsey was there to help me through and make sure I go the most out of it. From before the start through the entire process to the follow up, she was there for whatever I needed. Kelsey is a weight loss rock star! You can buy this three day challenge online but what you can’t buy is the individualized attention you get from your coach and if you’re going to have a coach, you should make it Kelsey. I dropped 4.4 pounds during my three day challenge. In addition the the weight, I also lost an inch off my waist and hips. I was pleased with these results to say the least. I found that the three day challenge was an excellent jump start for me and helped bust through the plateau I’ve been sitting on for far too long. At the end of my challenge I was seeing a number on the scale that I haven’t seen in a LONG time and I couldn’t help but smile. In the weeks since my challenge I’ve continued to lose weight and inches and I can feel my clothes starting to fit better. I’m still sitting on the fence as to whether or not to continue with Herbalife. I’m sure that my coach, Kelsey can come up with a plan for me that would work with my lifestyle, the challenge was a bit too aggressive for me to do for more than a few days at a time. I only want to replace one meal with a shake but during the challenge I replaced two. The biggest thing holding me back is the expense. Herbalife is an investment and to be honest I’m not sure if I can part with the money at this point when it’s needed so many other places. If you’re looking to try something new to shed those pounds, I would recommend reaching out to Kelsey and giving Herbalife a try. Made the right way, the shakes are tasty and they do keep you feeling full. 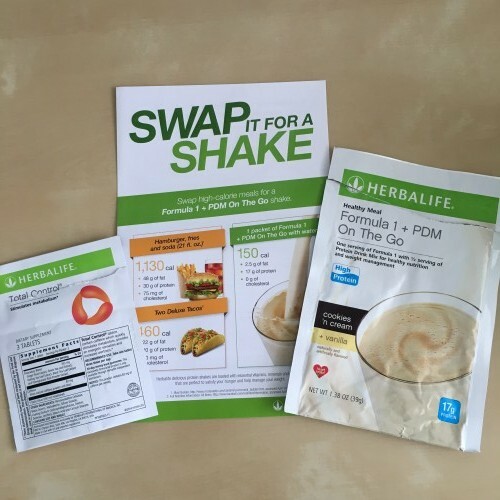 Even if you’re not sure if Herbalife is for you I’d encourage you to learn more about the product and options offered to see if there is something that meets your needs to help you meet your goals. 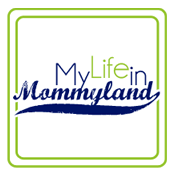 Kelsey has been kind enough to offer all Mommyland readers $5 off their first order, just mention this blog when you email her to redeem the offer. If you order online, use coupon code MOMMYLAND for your $5 discount. 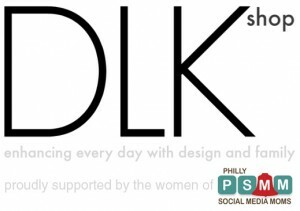 For more questions, CLICK HERE to email Kelsey.